Transcend is proud to announce the launch of its JetDrive Lite series of expansion cards aimed at MacBook Pro with Retina display and MacBook Air users. With four different models offered in 64GB and 128GB capacities, Transcend’s new JetDrive Lite cards are tailor-made to have a flush profile with each specific model while providing an easy way to increase available storage for media. 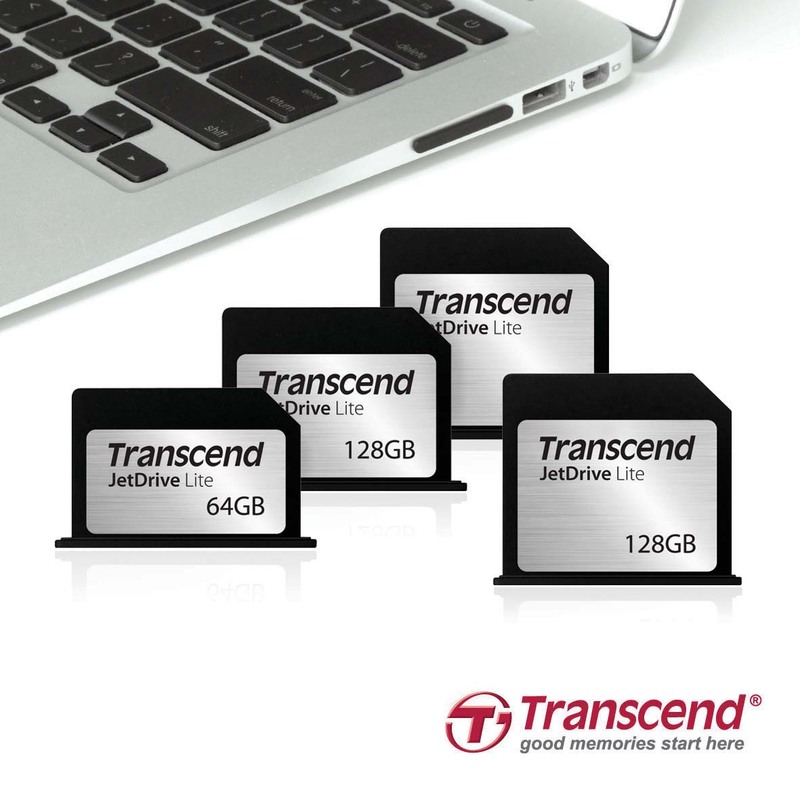 With their substantial amount of storage space, Transcend's JetDrive Lite expansion cards provide plenty of space to backup, store, and carry personal documents, photos, movies, and music. The 128GB card, for instance, can store over 60,000 high-resolution photos, 32,000 MP3 songs, 32 hours of Full HD video, or seemingly limitless number of documents. 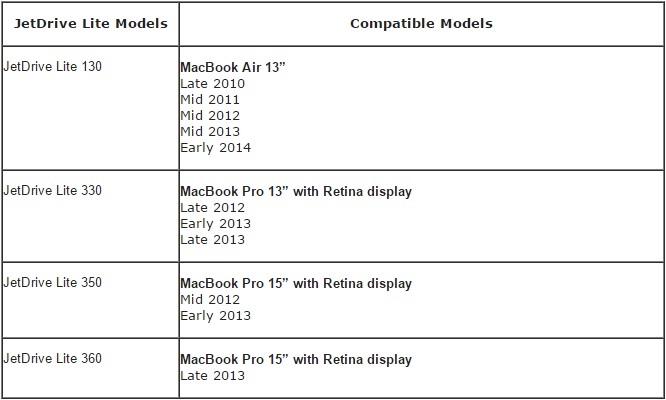 When inserted into the card slot of a compatible MacBook Pro with Retina display or MacBook Air, the low-profile JetDrive Lite will not stick out like an SD card and can be left in place for on-the-go storage. Manufactured with reliable, top-tier MLC NAND flash chips, JetDrive Lite expansion cards boast blazing fast read and write speeds of up to 95MB/s and 60MB/s respectively. This outstanding performance translates into reduced data transfer times regardless of file size; especially useful for photographers, video editors, and graphic artists working with extremely high-resolution images and videos. Transcend’s JetDrive Lite expansion cards are equipped with built-in ECC (error correction code), which automatically corrects potential transfer errors, and utilize a sophisticated wear-leveling algorithm for consistent long-life operation. For further peace of mind, JetDrive Lite cards are manufactured using a special COB (Chip-on-Board) technique, making them completely resistant to dust and water. The JetDrive Lite Series of expansion cards are offered in 64GB, 128GB and 256GB capacities with MSRPs of P2,490, P4,490, and P8,490, respectively, and are available in Philippines at Power Mac, Beyond the Box and Lazada. All Transcend memory cards are fully tested for compatibility and reliability, and carry Transcend’s renowned Limited Lifetime Warranty.